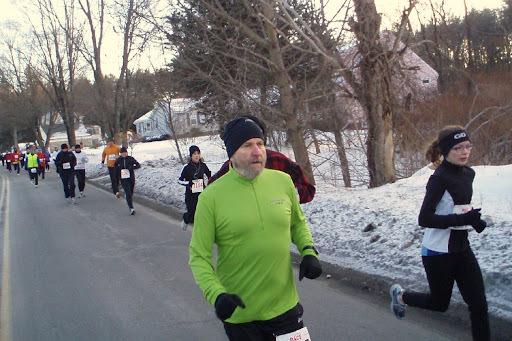 The Fudgecicle is a flat 5K in Tewksbury, MA. 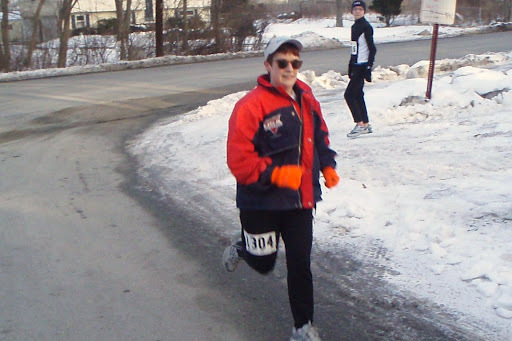 It runs every Saturday in January and February, starting promptly at 8:00 AM at Tewksbury High School. Temp is just 13 degrees, but there's no wind, so it's biting cold but not unbearable. We start running and warm up fast.